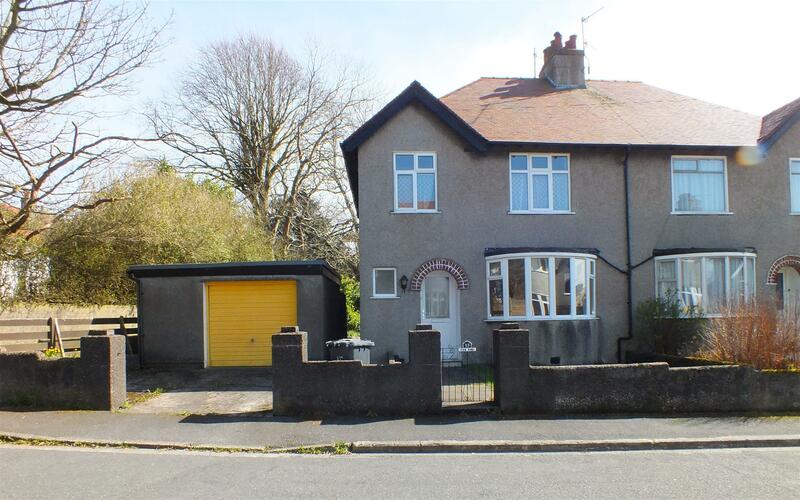 Traditional Semi Detached Family House in a Favoured Residential Area. Located at the End of a No Through Road with Easy Access to Douglas Centre. Generally Well Maintained but Requiring Modernisation Throughout. 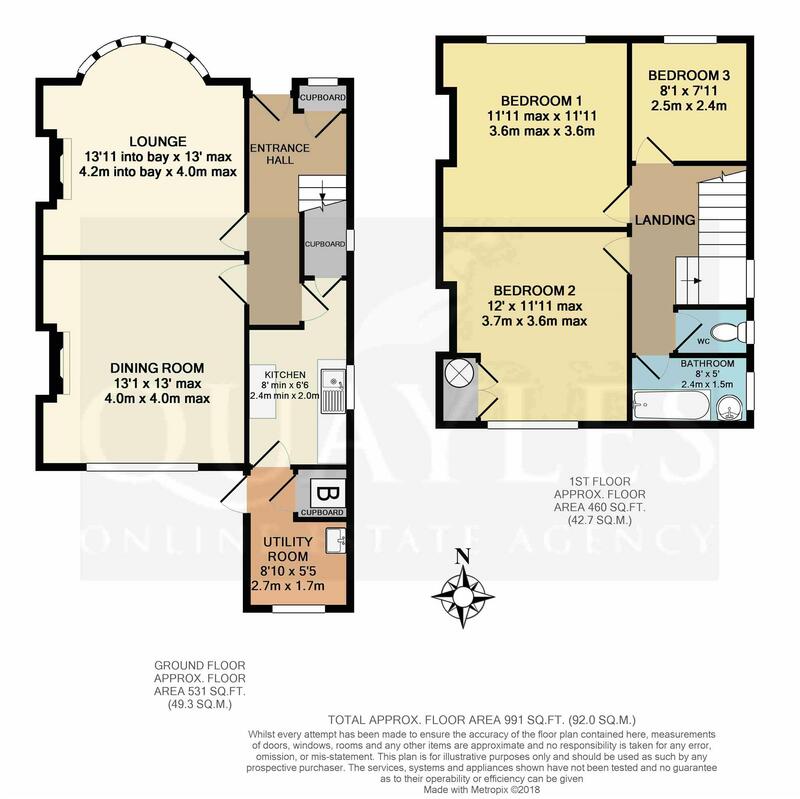 Comprising Spacious Lounge, Dining Room & Adjacent Kitchen with Utility Off. 3 Good Size Bedrooms (2 Doubles), Bathroom & Adjacent WC. 'Everest' Double Glazing Throughout. Oil Fired Central Heating. 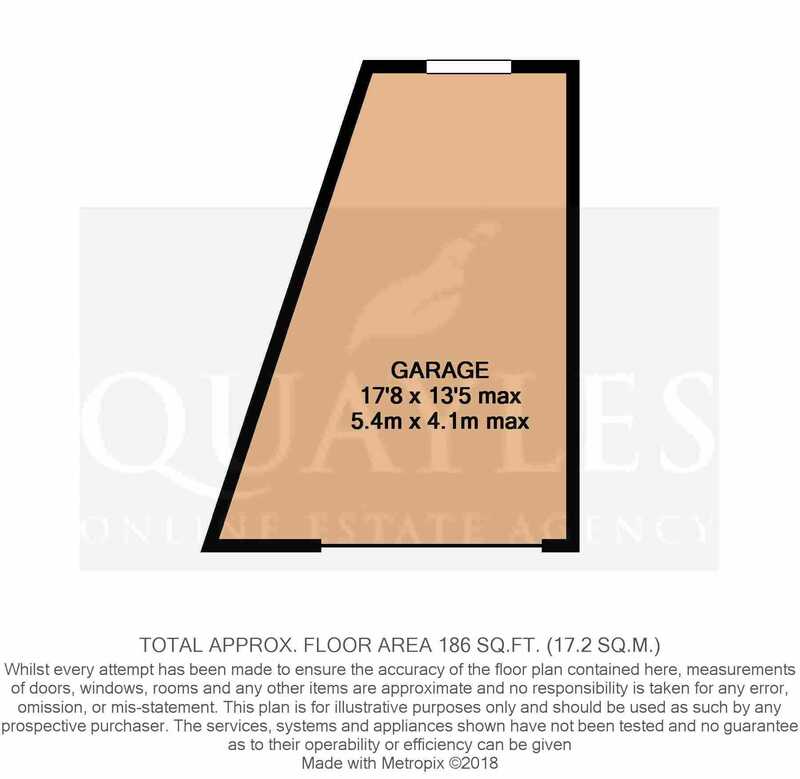 Large Detached Single Garage & Parking for 1 Car (Potential to Increase STPP). Enclosed Front & South Facing Rear Garden with Shed, Summer House & Green House. From the Quarterbridge roundabout travel up Quarterbridge Road, through the traffic lights and up onto Bray Hill, take the fourth turn on the left, into High View Road then the second on the right into Terence Avenue where number 15, will be found at the far end on the right hand side. A half obscure glazed uPVC door leads into the entrance hall. A naturally light and spacious area with leading off to the first floor. Picture rail. Telephone point. Original doors to the lounge, dining room and kitchen. Built in cloaks cupboard to the front, benefiting from an obscure glazed uPVC panel for natural light and fitted coat hooks. Electric meter, fuse box and power point. A spacious room with a uPVC bow window to the front. Original fireplace (currently unused). Cornice and picture rail. A further spacious room with a large uPVC window looking out onto the rear garden. Tiled fireplace (currently unused). Cornice and picture rail. Television point. Fitted with a basic range of wall and base units together with a stainless steel sink and drainer. Space for a free standing cooker. Half obscure glazed window. Shelved under stairs larder cupboard with a uPVC glazed panel. Original part glazed door to the utility room. NB measurement given excludes the entrance area. Plumbed for a washing machine with space for a tumble dryer and fridge freezer. Pedestal basin. Fitted shelving. Part obscure glazed uPVC door to the rear garden. Measurement given excludes the entrance area and a deep built in cupboard which houses the oil fired 'Worcester' boiler. A large uPVC double glazed window provides plenty of natural light and ventilation. Original picture rail and doors to all rooms. Loft access. Part tiled and fitted with a Powder Blue' suite of pedestal basin and panelled bath with a 'Redring' electric shower over. Obscure glazed uPVC window to the rear elevation. Shaver point. Fitted with a white WC. Obscure glazed uPVC window. Vinyl floor covering. A generous double room with a uPVC window to the rear elevation. Picture rail. Airing cupboard concealing the hot water cylinder. Picture rail. Located to the front of the property with a uPVC window and original picture rail. A generous single room with a uPVC window to the front. Picture rail. The rear garden is south facing and enjoys maximum sunshine hours. A concrete pathway leads to the front of the property and extends to form a patio adjacent to the dining room. Raised bed. Small lawn and a paved area which is currently a base for the greenhouse. In addition is a timber shed and summer house. Mature shrubs provide a good degree of privacy whist timber fencing forms the boundaries. A wooden gate leads to a public pathway which runs alongside the garden. External light. Gated access to a low maintenance enclosed front garden. A concrete hardstanding provides parking for one car with potential to open up for two cars subject to the usual permissions. Exterior light. A wider than average garage which tapers to a minimum width or 8ft9" at the rear. Accessed via an up and over door with natural light provided by a timber framed single glazed window. Light and power installed. Mains water, electricity & drainage. 'Everest' uPVC doors and double glazing to living accommodation. Oil fired central heating. Whilst all details are believed to be correct neither Quayles Limited, their employees or vendor clients can guarantee their accuracy nor are they intended to form part of any contract. Prospective purchasers should rely on their own enquiries and legal searches before commiting to purchase. Advice should be sought from the appropriate professionals where required. Photographs are taken using a wide angled lens, this is for the sole purpose of showing a larger area within the properties described. Unfortunately this can sometimes result in distortion or partial stretching of an image. It is not our intention to mislead hence pictures are displayed beside the corresponding room descriptions and measurements where possible.